Learning is instrumental to shape the future we want! The UCLG World Secretariat celebrated the 3rd Learning Forum in the framework of the World Summit of Local and Regional Leaders that took place in Bogotá in October 2016. As it was the case in previous occasions members and partners gathered to work collaboratively on the UCLG Learning Agenda for cities, local and regional governments. The Summit was a unique opportunity to explore diverse learning methodologies and further develop a common understanding of the importance of learning, as well as, the challenges we face as a learning network and the link to decentralized cooperation. 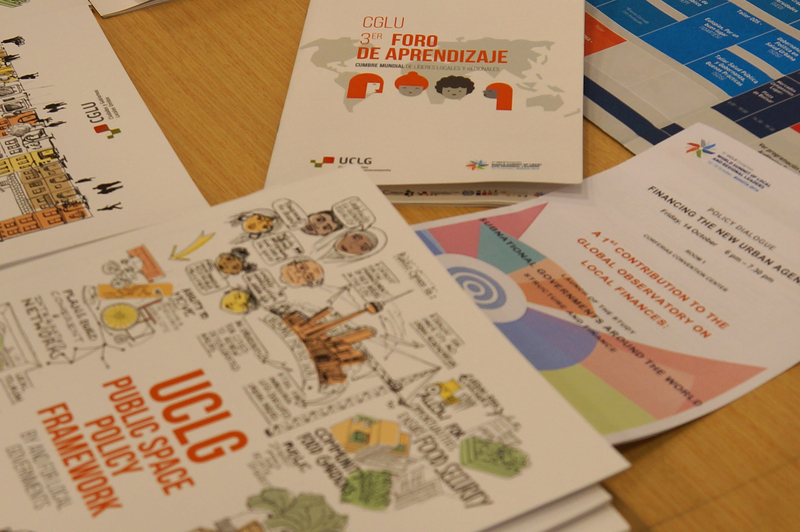 Deriving from the discussions and the collective work with members and partners, the UCLG Learning Agenda was further shaped and some main learning activities were programed to be developed during 2017. The plenary “Learning Forum: Concepts and Trends” provided a diverse range of points of views on the importance of learning for cities, in cities, universities, enterprises and networks. The session on “the art of strategic facilitation” co-organized by MILE built on the key elements for learning: work with good strategies, count with quality facilitation and build partnerships. The session on sustainable urban transport was co-organized by Connective Cities and presented the methodology of the gallery of good practices. The objectives of the session were to learn about urban mobility, which is seen as a priority theme to deal with in the future. The presentation of cases allowed to analyze success factors and share the views onlearning effects and recommendations to transfer the practice. The UCLG Committee on Local Finance and Development, the Committee on Social Inclusion, Participatory Democracy and the International Observatory on Participatory Democracy co-organized a peer review based on the case of the city of La Paz. 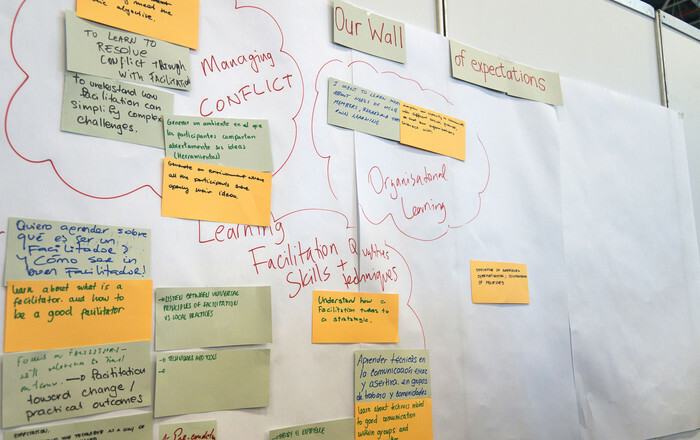 Expert participants comment on the case and shared their expertise drawn from the question stated by La Paz: Are we ready to go from strategic planning towards participatory strategic planning? The session on city-to-city and South-South and Triangular cooperation on decent work, co-organized by the ILO presented experiences on decent work and cooperation based non the temporary think-tank methodology. The objective of the session was to open a fruitful discussion and bring to light several criteria for a meaningful city-to-city cooperation on decent work. The session on public space was coordinated by the UCLG Committee on Urban Strategic Planning. The main objective of the session was to discuss with different actors tangible ways to implement the public space policies, presented in the UCLG Public Space Policy Framework. Cities, local and regional governments have the need for practical solutions to fulfil the citizens’ demands. In this regards, sub-national governments are strong partners and supporters regardless of their development stage. Therefore, learning cannot be conducted alone but has to be part of partnerships with others. With this in mind, we want to thank Connective Cities, the International Labour Organization - ILO, UN-Habitat, OIDP, eThekwini - MILE and the UCLG Committees on Urban Strategic Planning, Local Finances and Development, and Social Inclusion, Participative Democracy and Human Rights, for the collective effort in the coordination of the learning sessions.